Select to sign in with 4-H Online. You will be prompted to select the state 4-H program you are enrolled in. 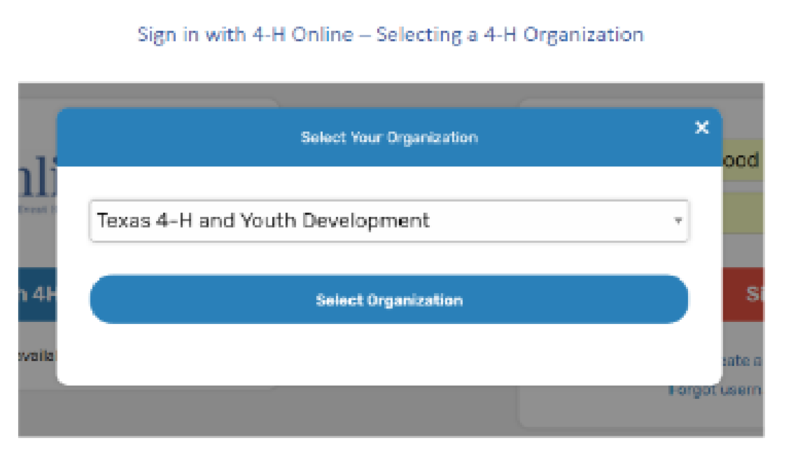 Select "Nebraska 4-H Youth Development". Then, enter the login information for your family 4-H Online account. After successfully logging in, you will be given a list of active family members. Select a family member and begin the account creation process. 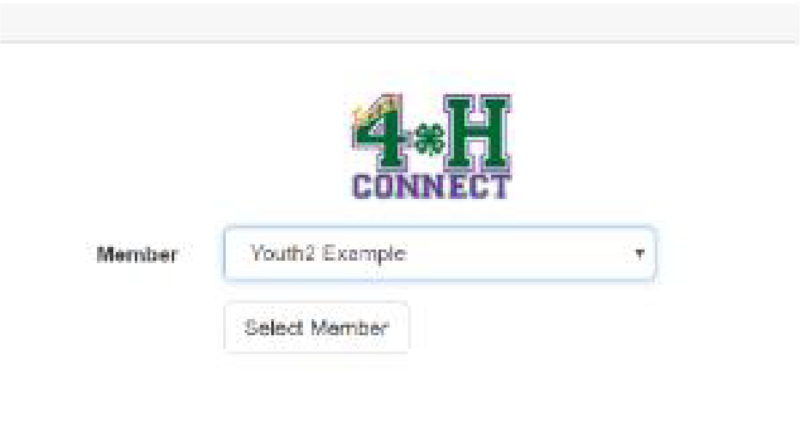 After creating your account, you can still log in using your 4-H Online credentials. 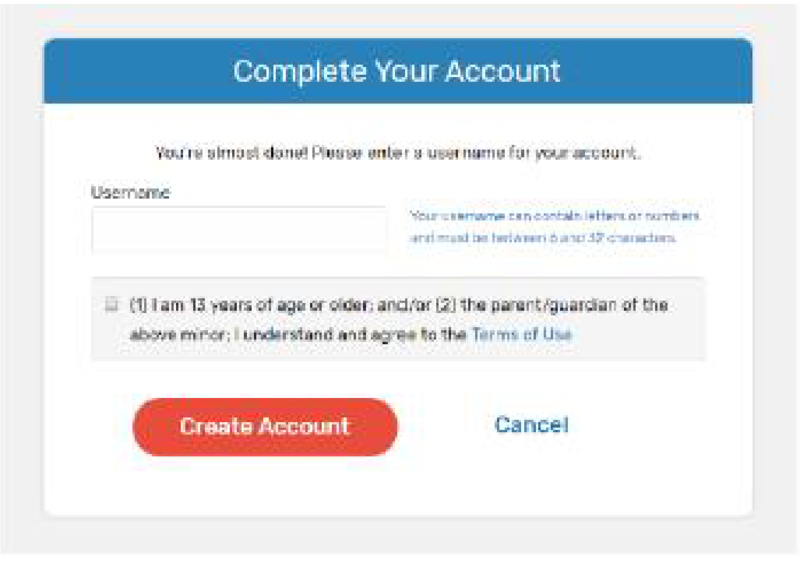 The username will be used if you decide to disconnect your account from 4-H Online. To begin a course, click one of the courses listed. Be sure to select the web-based version. Read the descriptions of the courses carefully to make sure the individual associated with the account meets the requirements. Select the appropriate course and course options for the participant. 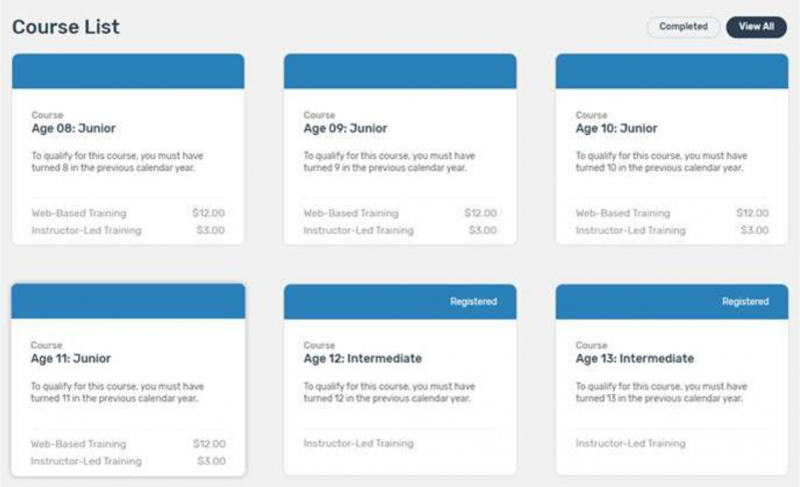 Youth completing lessons on their own time must select and pay for the "Web-Based Training" option. 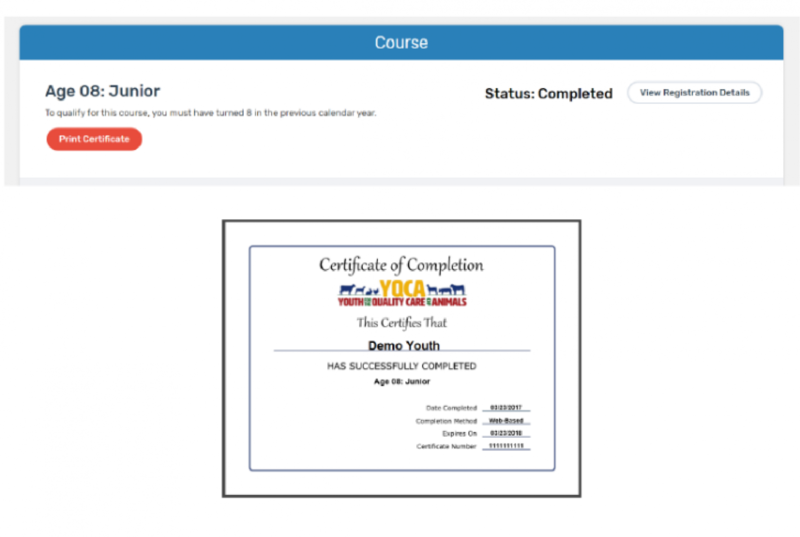 The Instructor-Led Training option is only for face-to-face YQCA trainings. Purchase the course by entering your credit card information or entering your coupon code provided by your local Extension office, if applicable. Once all of the lesson quizzes have been successfully completed, the participant will have access to their Certificate of Completion. Return to the course menu screen to print the certificate. Certificates can be downloaded as PDF files and/or sent electronically. Certificates will need to be delivered to your local Extension office. Swine Exhibitors: The number on your Certificate of Completion will be used as the number that will be asked for by swine buyers.